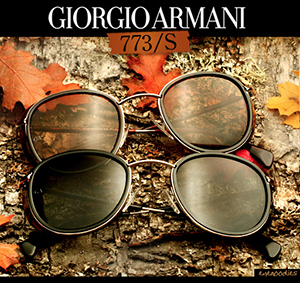 Specs Appeal Online carries the major brands of stylish and fashionable sunglasses. If it's a bright, clear day outside, you may instinctively reach for your sunglasses when you head for the door. And you probably do it without much thought about them. But you do think about sunglasses when you buy a new pair -- when you walk into the discount store or the Sunglass Hut at the mall, there is such a bewildering array of choices before you! There are differences between tinted, reflective, photochromic and polarizing sunglasses... the style of the frame and size of the lenses also make a difference. Is that $200 pair of Serengeti sunglasses really any better than a $10 pair from the flea market? A pair of sunglasses seems so simple -- it's two pieces of tinted glass or plastic in some sort of plastic or metal frame. How much more straightforward can something get? It turns out that there are many different things you can do with two pieces of glass, and these things can have a big effect on you when you use the lenses. 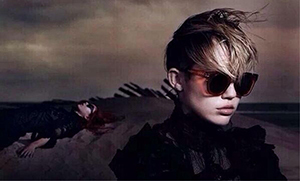 There really is a difference between the various sunglasses out there. • Sunglasses provide protection from ultraviolet rays in sunlight. Ultraviolet (UV) light damages the cornea and the retina. 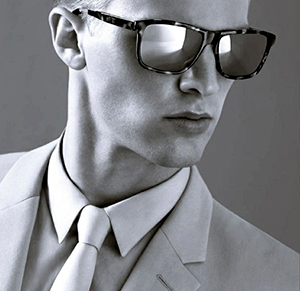 Good sunglasses can eliminate UV rays completely. 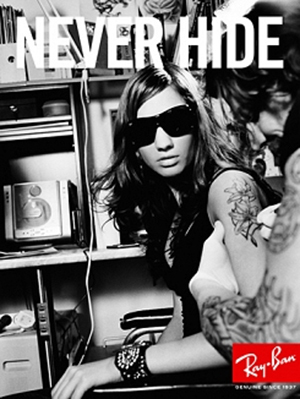 • Sunglasses provide protection from intense light.When the eye receives too much light, it naturally closes the iris. Once it has closed the iris as far as it can, the next step is squinting. If there is still too much light, as there can be when sunlight is reflecting off of snow, the result is damage to the retina. Good sunglasses can block light entering the eyes by as much as 97 percent to avoid damage. • Sunglasses provide protection from glare. Certain surfaces, such as water, can reflect a great deal of light, and the bright spots can be distracting or can hide objects. Good sunglasses can completely eliminate this kind of glare using polarization (we'll discuss polarization later). • Sunglasses eliminate specific frequencies of light.Certain frequencies of light can blur vision, and others can enhance contrast. Choosing the right color for your sunglasses lets them work better in specific situations. There is a difference. Buying the right pair of good sunglasses for the conditions in which you use them gives you maximum protection and performance. 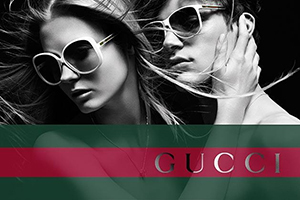 From Nike and Timberland to Gucci and Kenneth Cole, many big brands include sunglasses among their product lines. 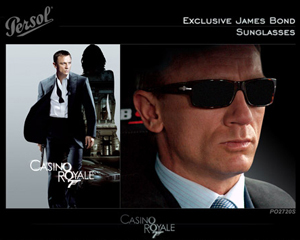 Many sunglass manufacturers make huge claims about the features and special qualities of their products. Prices can range from less than $20 up to several hundred dollars depending on the features and the name. Then there are the imposters. You go to a discount shop or a flea market and see vendors offering sunglasses that look exactly the same as the high-dollar brand names for a fraction of the cost. Are you really paying that much for a name or are there fundamental differences between the look-alike sunglasses and the brand-name ones? The biggest problem with cheap sunglasses is in the way the lenses are made.Inexpensive sunglasses have lenses made of ordinary plastic with a thin tinted coating on them. While the tint color and a similar frame design may make them look like Oakley X-Metal Romeos or Ray-Ban Predators, the actual lenses are very different. 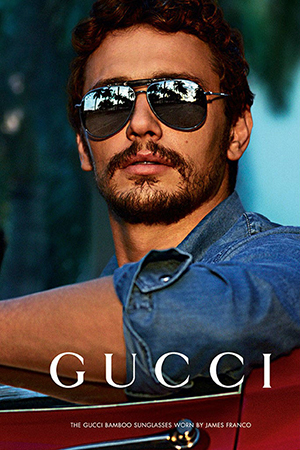 Contact our store today to find out how you can benefit from quality sunlasses and stylish prescription sunglasses.